Left-Hander - KUM | Made in Germany | Anspitzer Zeichengerate uvm. Products for left-handers are very important at KUM. If left-handers were formerly compulsively re-educated, it is common knowledge today that this can cause negative side effects. The statistics on the left-handed population are very variable. “Older studies tend to lower percentages, while recent research generally finds higher numbers (up to 50%). 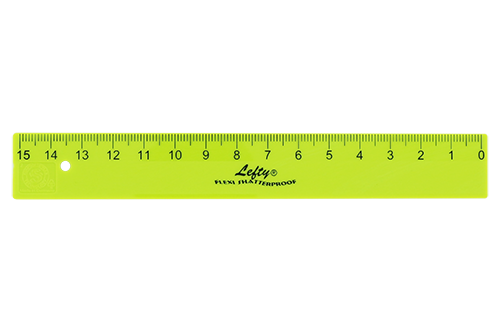 There are many reasons for the discrepancies: Measuring methods, for example (self-assessment, questioning, observation, tests) and the stricter or looser scale that was applied. It is also important to identify to which group the retrained left-handers (pseudo-right-handers) were counted; if this finding was to be discovered at all. The latter is related to the fact that left-handedness was at times regarded as something inferior, something that one had to exorcise his child from early on, and then what this man, in his further life, deliberately suppressed and concealed “. Investigations at the employment office Wilhelmshaven found a statistical share of left-handers of 22.2%, whereby the group of retrained left-handers could not be completely identified. Some researchers also consider a share of 50 per cent left-handed to 50 percent right-handed possible. 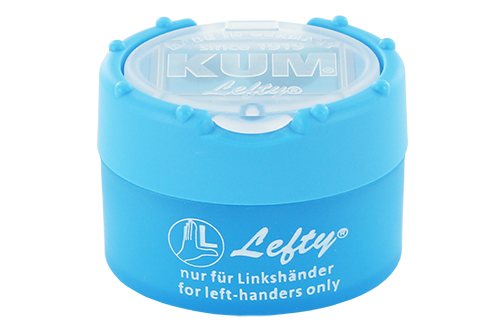 KUM recognized this trend years ago and is now launching new left-handed products on the market as a “Lefty” specialist. 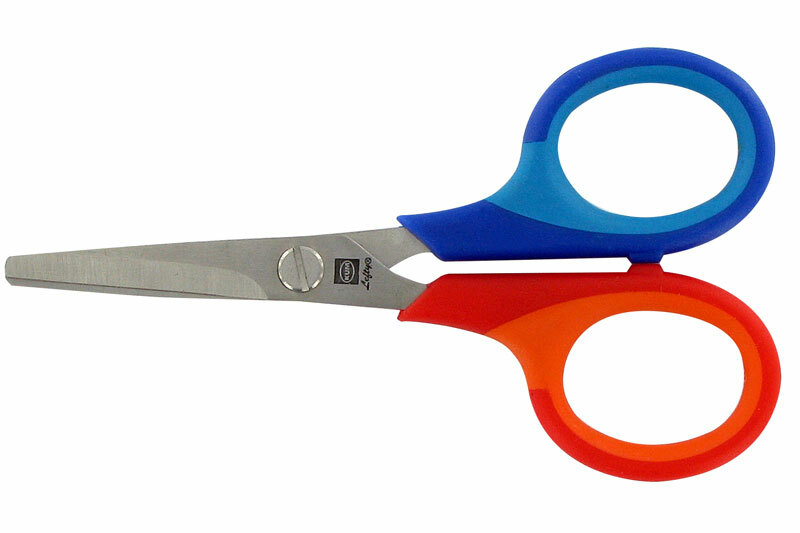 With our sharpeners, flexible left-handed devices or attractive left-handed scissors, KUM offers a versatile and varied program of left-handed articles. 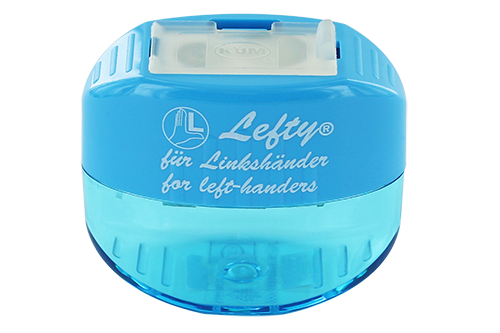 A left-handed sharpener allows the child to turn its left hand outward when sharpening, away from the body. This movement is physically easier than turning the hand inwards, to the body. 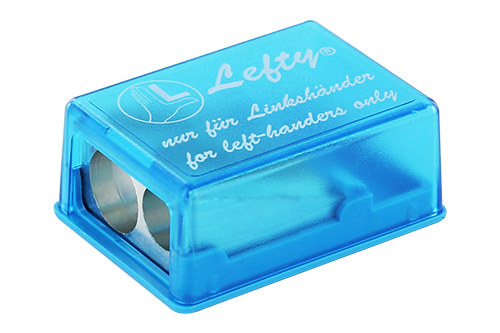 Furthermore, the sharpener for left-handers prevents the lead from breaking due to incorrect rotational movements. 2-hole pencil sharpner with waste container and pencil hole cover for left-handers. 2-hole magnesium pencil sharpner with waste container for left-handers. 2-hole magnesium pencil sharpner with waste container and pencil hole cover for left-handers. 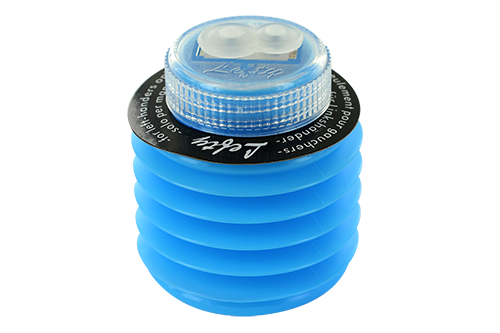 2-hole magnesium pencil sharpener with unbreakable Softie® waste container and pencil hole cover. 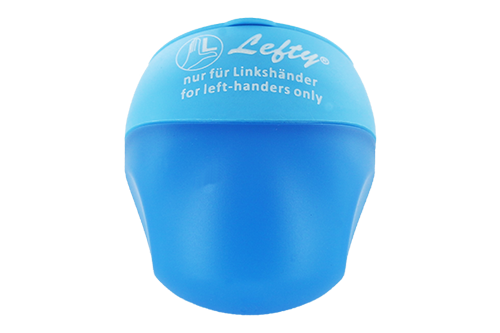 For left-handers. 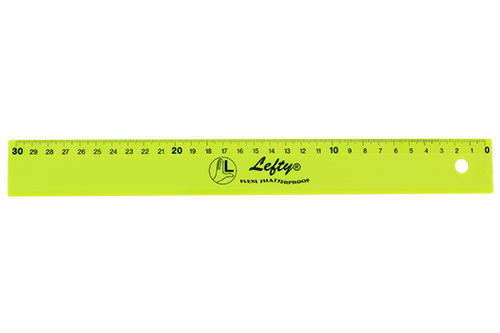 Rulers for left-handers differ by a reversed scale. The lines are drawn from the right to the left. 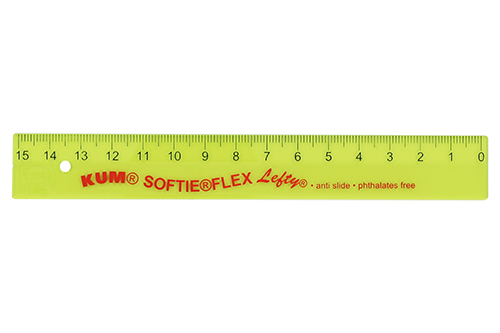 The problem of a hidden scale is thus excluded. 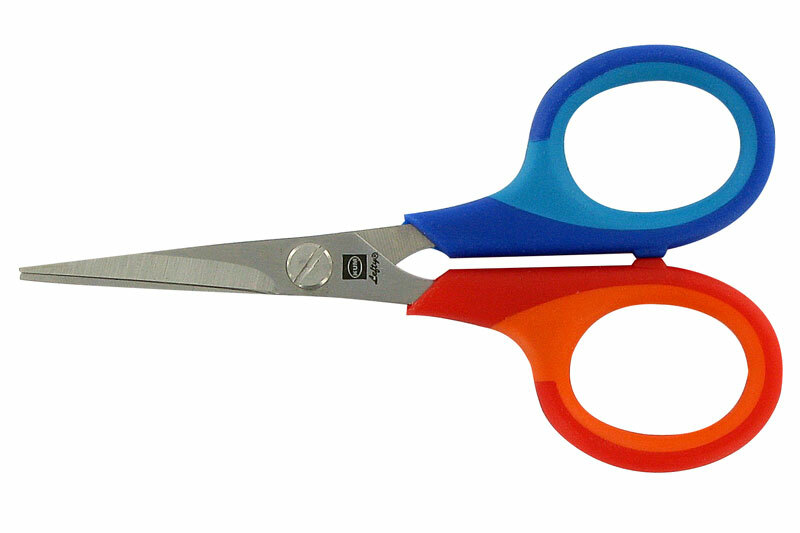 Scissors for left-handers are built exactly reverse. 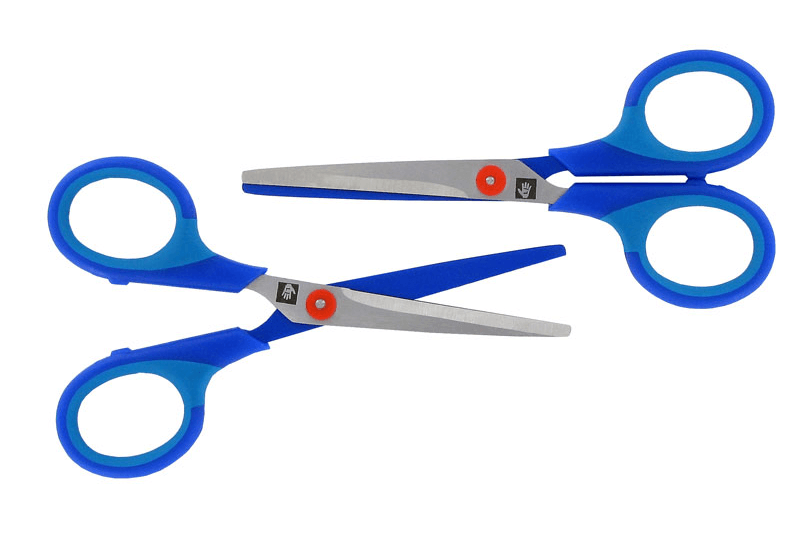 If you cut with a wrong pair of scissors, you will not be able to see the cutting line, because it is covered by the upper cutting blade. The result is that the cuts are difficult to succeed exactly and a cramped hand position arises. 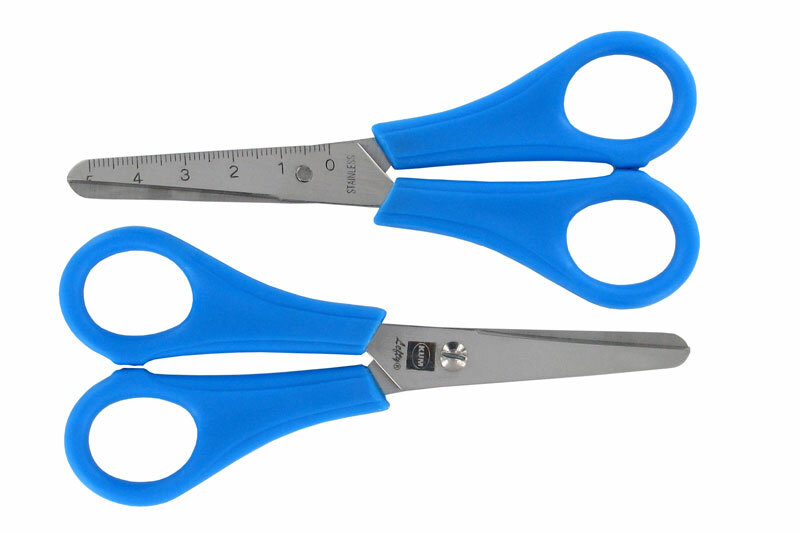 That is why it is particularly important for left-handers to use a suitable pair of scissors.